In an age when almost all high school students carry around school-issued electronic devices like iPads, Chromebooks, and other laptops, just about every school sets restrictions on which websites their students can visit. Restrictions are set not only to prevent students from looking up harmful, inappropriate, and illegal material, but also to prevent them from simply wasting their time playing games or watching videos instead of studying. At Conant, however, the filter seems to do more harm than good. It often restricts Google searches that students need to use for their schoolwork, and it ironically leaves many social media and game sites unblocked. Just about every student could mention a time when the filter blocked something innocuous, and many more can name a time when the filter interfered with their schoolwork. The ironic part about the school filter is that many sites one would expect to be blocked are not, including the misleadingly titled Cool Math Games, which lets students play a wide variety of video games on their iPads. Twitter and various other social media sites are also easily accessible. The YouTube app can even be installed on students’ iPads. Students should not be inconvenienced by having websites and information vital to their schoolwork restricted while sites like YouTube and Twitter remain ironically unblocked. 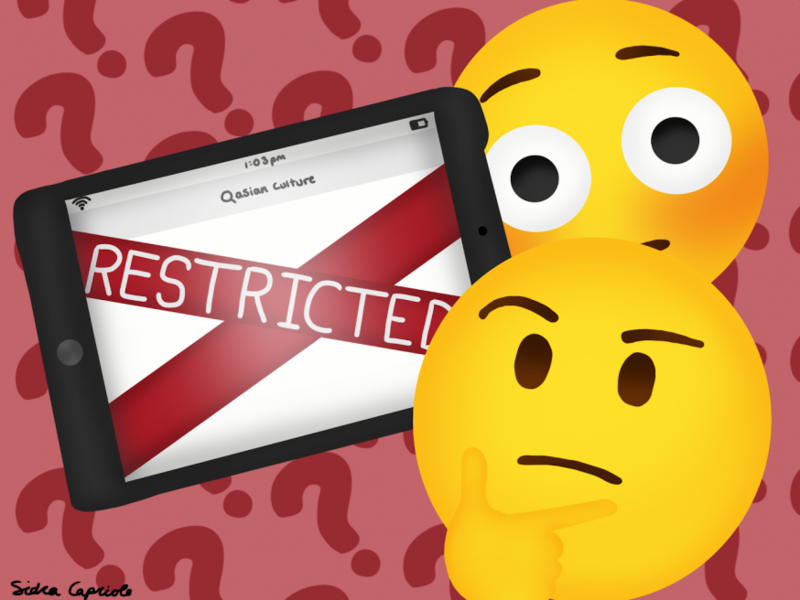 This begs the question: why is there a filter to restrict students from looking up inappropriate material when students can use their district iPad to access billions of videos and tweets? Plenty of inappropriate material can be found on the platforms already available to students. However, restricting YouTube and Twitter would only create a greater inconvenience, because YouTube is used by teachers to help students understand their material, and Twitter is used for advertising purposes by countless sports and clubs, the Conant Crier among them. Just about every student has a phone with which they have unrestricted access to the internet. The minority of students who would look up truly inappropriate or harmful content can just access the same content on their phones. For this reason, there is no point in having an internet filter at Conant. Instead, teachers or administrators can provide stricter punishments for students who are caught searching inappropriate material on their phones or iPads. This could include locking students’ iPads or removing privileges like iMessage after repeat offenses. This hypothetical policy would prevent students from searching up harmful material for fear of being caught, but would not involve an internet filter that interferes with important work. The word “asian” is blocked on our iPads, and I don’t know really know why.